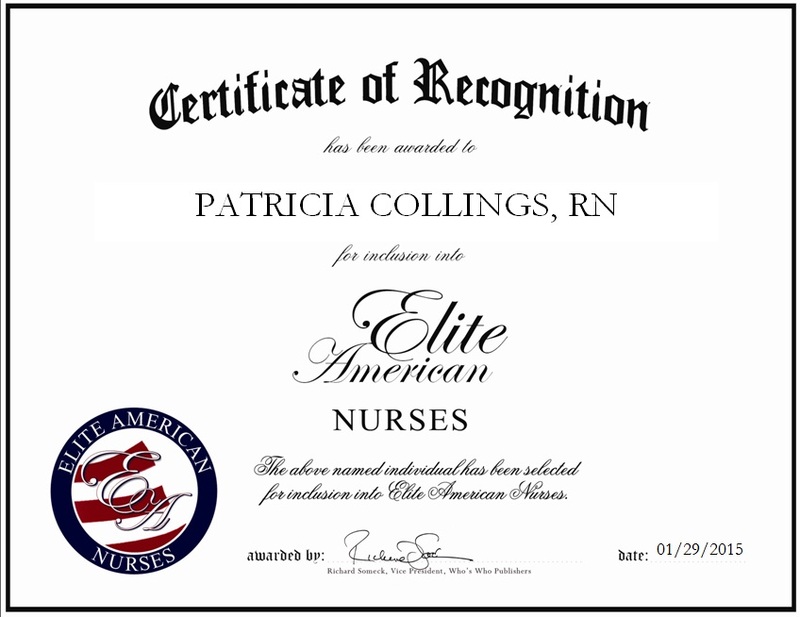 Supply, NC, January 29, 2015, Patricia Collings is a Registered Nurse serving Liberty Home Care and Hospice “Caring with Compassion,” a leading health care organization which offers top quality levels of hospice care services. In her role, Ms. Collings is in charge of offering practical and emotional support for patient and family needs, and discusses all methods of care with each patient’s doctor. She also teaches families how to properly care for their loved ones. She has garnered a reputation of distinction and prominence for her demonstration of kindhearted and considerate care, and professionalism in the area of nursing, earning the prestigious Nursing Excellence Award as granted by the University of South Carolina. This entry was posted in Registered Nurse and tagged home health care, hospice, nursing. Bookmark the permalink.